For all of you who haven’t been to T-Mobile Arena yet, here’s your chance, and for free. MGM/AEG is opening the doors for an open house on Monday and Tuesday from 10AM-9PM on August 1st and 4PM-9PM on August 2nd. 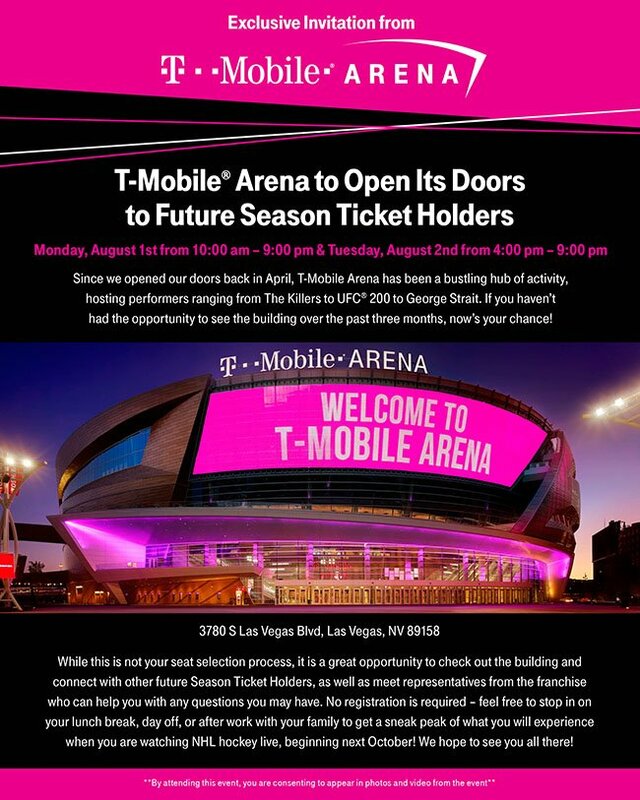 The reason behind the open house is to give fans an opportunity to see T-Mobile Arena with a full hockey configuration. 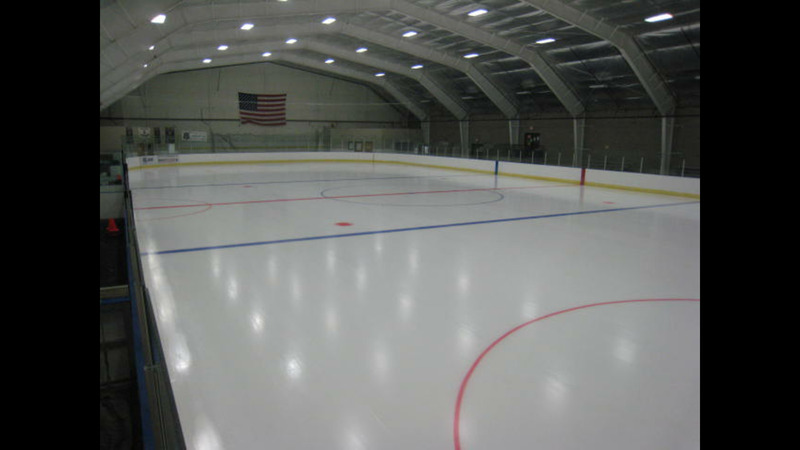 By that I mean boards, penalty boxes, benches, nets, and most importantly, a full sheet of fresh ice. It’s a walk-through for Frozen Fury coming up in a just over a month and anyone and everyone who wants to come has a chance to take a look. An email (which is at the bottom of this post) was sent out to NHL season ticket holders, but the arena has made it clear the open house is not just open for those with deposits, it’s open to everybody all 16 hours. No registration required. Also, Murray Craven, Todd Pollock, and other team representatives will be on hand to take questions and talk hockey with fans. This is a pretty cool (literally) opportunity to see what the arena is going to look like come October 2017 when we finally drop the puck for real. Also, for season ticket holders, this is a great chance to take a look at potential seats so you can be prepared when seat selection begins. I’ll be there two or three times during the two days, Dana and Jason will as well, so if you are heading down, tweet at us, so we can say hi.